A tram that derailed, killing seven people and injuring more than 50 in south London on Wednesday, has been removed from the crash site. Crews began working overnight on the removal of the two carriages from the track near Croydon. They were loaded on to the back of lorries and covered with blue tarpaulin before driven away on Saturday morning. An investigation into what caused the tram to leave the track as it negotiated a sharp bend continues. On Friday, an extra minute's silence was added to the Armistice Day ceremony at Croydon Cenotaph to remember the victims. A crowdfunding website set up by Croydon Council in the wake of the derailment has so far raised nearly £7,000 to help the families of the victims. Four of the dead have so far been identified as: Phil Seary, Mark Smith, Dorota Rynkiewicz and Dane Chinnery. British Transport Police (BTP) are investigating claims made in a Facebook post last week that a tram had "lifted on to one side at 40mph" at the same spot days earlier. The family of Phil Seary, 57, said he was a "much loved wonderful son, faithful husband and a loving and doting father". Mr Seary's daughter, Karina Mimms, said he was "a gentle giant... He had an absolute heart of gold and would do anything for anybody". Mr Seary, from New Addington, was a keen Crystal Palace fan. Mark Smith, who lived in Croydon, was described by his brother-in-law as "a wonderful husband, an amazing brother, amazing son to his parents". "He will always stay in our hearts and our minds and we will never forget him," Osvaldas Novikovas said. Dorota Rynkiewicz, 35, from New Addington, was the only woman to die in the crash. Simon Smith, CEO of SSP UK where she worked, said the company "offered our heartfelt condolences to her family and we are doing all we can to support them at this difficult time." Nineteen-year-old Dane Chinnery, who was also a Crystal Palace fan from New Addington, was described as "a beautiful lad". Barbara Dumbleton, a family friend, said the teenager "always had a smile on his face... he was absolutely lovely." His close friend, Aaron Gilbert, said "nothing will ever be the same without him... [It's] so devastating how something like this can cause so much damage". Tom Dale, who was on the tram when it crashed, said he saw Mr Chinnery as he boarded. "It was like walking out of a war zone," the 20-year-old chef said. Croydon Council has set up a crowdfunding page to raise funds to "help the victims, families and communities". The Rail Accident Investigation Branch (RAIB) is now calling for passengers to come forward if they think they have information relevant to its inquiry. Croydon University Hospital said all remaining 38 people it had been treating had been discharged. St George's Hospital in Tooting, south London, said three patients remained in a serious condition following surgery. Croydon Council said some had suffered "life-changing" injuries. BTP said it was still "working with the coroner" to identify all those who died. In a statement it said: "We have specially trained officers supporting their families and loved ones, helping them through what could be a lengthy inquest process. "I want to pay tribute to the community of Croydon who have shown incredible strength and resilience during this difficult time, as well as every single member of the emergency services and other agencies who have helped throughout." An investigator for BTP said "a number of factors", including whether the driver had fallen asleep or blacked out, were being examined as possible causes for the crash. The left-hand curve where the derailment happened is approached by a tunnel where trams are allowed to reach 50mph, while the bend has a speed limit of 12mph. 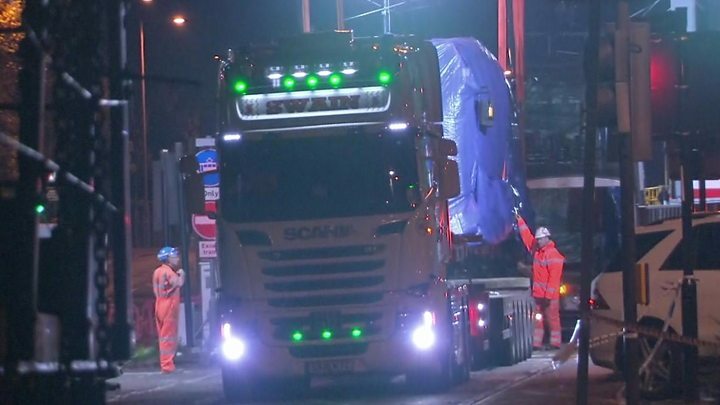 The Rail Accident Investigation Branch (RAIB) has said the tram, which had been travelling from New Addington to Wimbledon, had been travelling at a "significantly higher speed than is permitted" when it derailed. 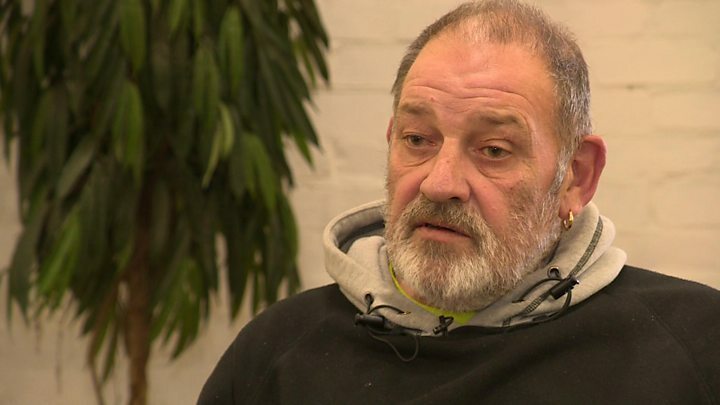 Media captionCroydon tram survivor: "I saw bodies everywhere"
Investigators have appealed for anybody who was on the tram to contact them and said they planned to release an interim report next week. The 42-year-old driver, from Beckenham, has been released on police bail following his arrest on suspicion of manslaughter. First Group, which operates the Croydon tram on behalf of TfL, said it was "shocked and saddened by what happened". Its chief executive officer, Tim O'Toole, said the company had "comprehensive safety processes and controls in place" but it "could take some time" to find out why the tram derailed. A petition has been set up online to create a permanent memorial garden of remembrance at Sandilands station to pay tribute to those who died. Croydon tram crash: Who were the victims?